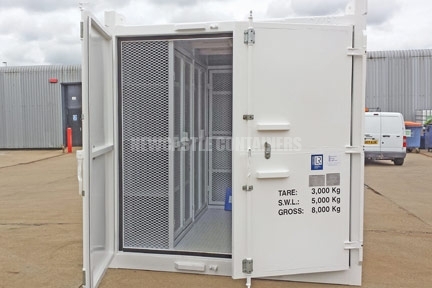 We supplied a 10ft 2:7-1 DNV container for an underwater systems company based in Middlesbrough. 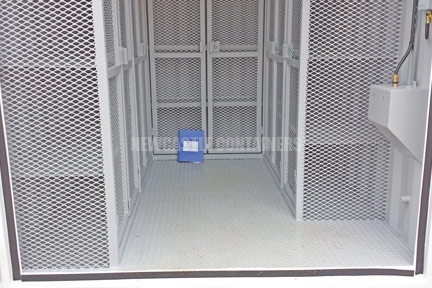 The unit was supplied fully slung, tested and certified for offshore. 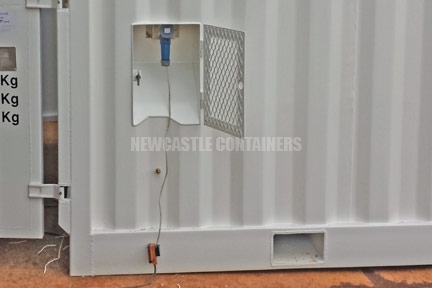 It had IP rated electrics (splash and dust proof), an external connection (plug and play style), a 4ft twin fluorescent light fitting, double pole light switches and an isolator/junction box. 3 tier x 2 bay shelving bays with mesh caged doors were also supplied along the 10ft sides and the unit was repainted RAL9010 pure white.